Windies’ pacer Shannon Gabriel was caught being warned by England batsman Joe Root for his alleged homophobic rant on the on-field stump mic. Root was heard saying “there is nothing wrong with being gay” in reply to an inaudible taunt made by Gabriel during the final Test match of the series. 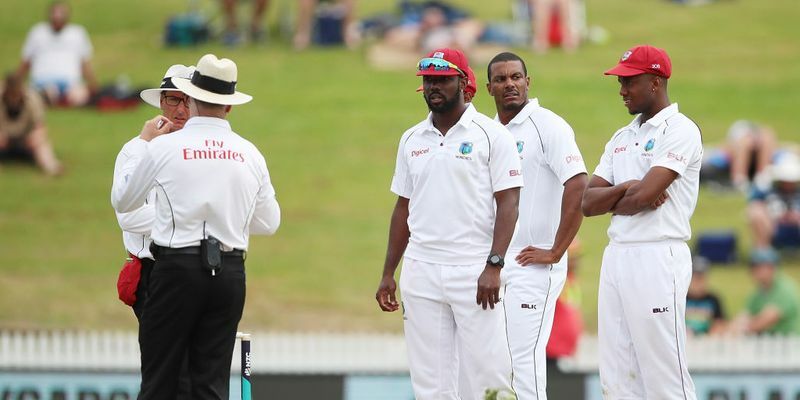 The West Indies cricket team, led by Jason Holder, have clearly been the better side against tourists England in the ongoing Test series on home soil. The hosts have won the three-match Test series after taking a 2-0 lead but are on the losing side in the ongoing third and final Test of the series. Gabriel’s initial remarks weren’t aired on live television but the quick bowler was spoken to by umpires Kumar Dharmasena and Rod Tucker about his conduct. However, it is believed the umpires didn’t hear anything that would breach the ICC Code of Conduct. At a post-match interview, Root suggested that Gabriel may have said something he “might regret” but did not go into the specifics of the incident. “Sometimes people say things on the field that they might regret, but they should stay on the field. He’s a good guy who plays hard cricket and is proud to be in the position he is. The battle was a good contest. He’s had a wonderful series and he should be proud. I don’t want anything said in the middle to ruin what’s been a good Test series for him and his team,” Root said. Meanwhile, home team coach Richard Pybus revealed that he wasn’t aware of the incident, but indicated that he would take strict action if his player was at fault. “Nothing has been reported to me but if a comment was made we will review it. If it was untoward we will be addressing it,” Pybus said.